A California settlement could lead to a massive voter roll purge after conservative watchdog groups, news outlets, and right-leaning politicians claim state election officials aren’t doing enough to maintain the state’s voter rolls. Judicial Watch, a conservative watchdog group, sued California in 2017, claiming 11 counties in the state had more registered voters than eligible residents. 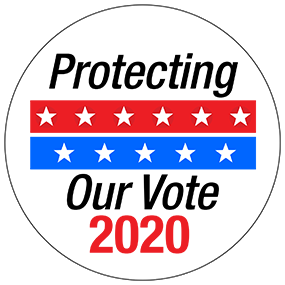 The lawsuit followed Secretary of State Alex Padilla’s refusal to send voter data to the now-defunct Advisory Commission on Election Integrity, a group Trump created to investigate spurious claims of voter fraud. The initial complaint alleged Los Angeles County had a registration rate of 112 percent and purported the rate indicated California election officials failed to regularly clean up the state’s voter rolls and remove ineligible voters. The settlement, reached in January, mandates Dean Logan, the LA County registrar, to remove voters from the voter rolls. If the purge of the rolls is done hastily or by using ineffective practices, up to 1.5 million registered voters could be removed. The National Voter Registration Act requires states to conduct general voter list maintenance and remove ineligible voters from the rolls. Federal law deems voters ineligible and subject to removal from the voter rolls when a voter moves, dies, asks to be removed, or is disqualified because of a criminal conviction or mental illness. Myrna Pérez, deputy director of the Brennan Center for Justice Democracy Program, said all voters are better off when inaccurate information, deceased voters, and voters who relocated are removed from the rolls. 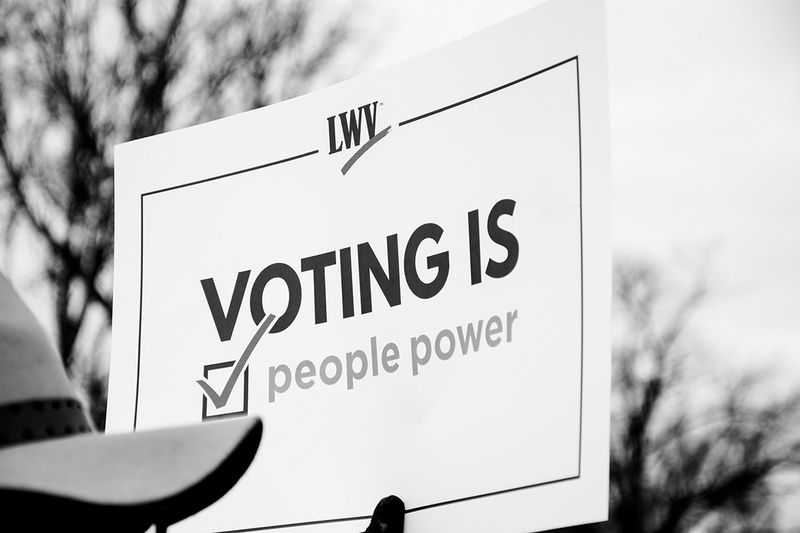 “Everybody should want sound, clean list maintenance,” Pérez, who also leads the Center’s Voting Rights and Elections project, told WhoWhatWhy. “You don’t want a lot of bloat on the rolls. It’s also just confusing for people when they go to the rolls, and they can’t find themselves because there’s a lot of dead wood,” which can increase voting time and the likelihood of someone signing in the wrong spot, leading to allegations of double voting. Before a voter becomes ineligible, they are categorized as inactive. States maintain lists of inactive voters — those who fail to answer a residency-confirming mailing or are flagged as having moved by the United States Postal Service’s National Change of Address database. But under the NVRA, inactive voters can still vote on Election Day. Voters become ineligible when they don’t respond to mailings and then don’t vote in the following two federal elections. Then, they are subject to removal. Voter roll purges aren’t inherently bad. But aggressive purge practices and purges based on inaccurate information can lead to disenfranchisement of active and eligible voters. Voter purges go awry when election officials use poor practices to determine ineligible voters and subsequently remove them from the rolls. Poor database matching and using outdated information from DMV or social security records — both of which have been proven to be ineffective in voter roll maintenance, Rosenberg said — can lead to the effective disenfranchisement of hundreds, if not thousands, of eligible voters. One such program, the Interstate Voter Registration Crosscheck Program, commonly known as Crosscheck, compares voter registrations across participating states by using first and last names and date of birth to flag voters potentially registered in multiple states. DMV records aren’t a surefire way to verify information, either. Texas Secretary of State David Whitley’s efforts to purge voter rolls of noncitizens failed drastically when it was discovered tens of thousands of voters on the list he procured from DMV records were, in fact, citizens. At the time of the ruling, only 80 voters on Whitley’s list were deemed ineligible. Biery further called the effort a “solution looking for a problem” and ruled evidence did not indicate voter fraud in the state. “Purges like that where they’re using old information on people who may have since become citizens … those purges are going to be discriminatory,” Michelle Kanter Cohen, counsel for the Fair Elections Center, told WhoWhatWhy. The NVRA requires non-discriminatory purge procedure, but that doesn’t stop states from targeting populations — intentionally or not. Purges disproportionately impact communities of color, who tend to vote at lower rates than white people due to a variety of systemic and institutionalized barriers they face leading up to and during voting. Poor people and students, who move around a lot and may lack permanent mailing addresses, are also targeted more frequently by voter purges. Good and bad purges alike are on the rise. A 2018 Brennan Center report found states removed almost 16 million voters from the rolls between 2014 and 2016, a 33 percent increase in removals compared to purges between 2006 and 2008. The report indicates a higher removal rate doesn’t necessarily correlate with a higher rate of aggressive or sloppy purges, but it does mean more eligible voters could be removed from the rolls. And, the report found no state maintained preferable protections for voters against aggressive purges. Sloppy tactics and purges too close to an election indicate an aggressive purge that could lead to problems at the polls. If election officials screw up, Pérez said, “there’s not enough time to fix it, and people don’t find out until it’s too late” — when they arrive at the polls and are effectively disenfranchised and unable to cast a ballot. Voters should watch for “super illegal” legislation, like that found in Indiana, as a sign of impending aggressive purge practices, Pérez said. She filed a lawsuit against the state following the passage of a law allowing election officials to remove voters from the rolls, without notice or an appropriate waiting period, if Crosscheck flags an individual as being registered in two locations. And the current administration has signaled support for more aggressive purge practices. In June 2018, the Supreme Court upheld aggressive purging practices in Ohio in its ruling on Husted v. A Philip Randolph Institute. Ohio boasts one of the most aggressive purging strategies. If a voter fails to show up to the polls in a single election — even a midterm election — Ohio begins the process of removal. Roughly 60 percent of Ohio voters did not vote in the last midterm election. And, in summer 2017, the Justice Department sent 44 states letters inquiring on voter purge practices, an action that raises suspicion the Trump administration will begin enforcing aggressive purges like the ones seen in Ohio. Conservative lawmakers, and activist groups like Judicial Watch, maintain voter purges are necessary to eliminate and prevent voter fraud. Former Kansas Governor Kris Kobach ardently supported the program aimed at preventing voter fraud, and Whitley justified his investigation into the number of noncitizens on the state’s voter rolls with the prospect of rampant voter fraud. Trump himself purported millions voted illegally in the 2016 election, costing him the popular vote, and named California as one of three states with “serious voter fraud” in a tweet shortly after the election. But unsubstantiated allegations distract voters from the proven issues at hand and can lead to inappropriate policy decisions that create more restrictions for voters. Academic and legal studies continually show voter fraud, the act of casting a ballot despite being ineligible to vote in hopes of affecting an election, is essentially nonexistent. “You have a much better chance of being hit by lightning than of finding in-person voter fraud,” Rosenberg said. Instances of supposed fraud are frequently tied to more prevalent issues. Dual registration does not provide substantiated evidence of a voter’s intent to commit fraud, and allegations of people voting from the grave can often be disproved by death records that indicate they died following an election. But studies don’t stop politicians from repeatedly justifying partisan practices with the premise of voter fraud. “A lot of this is done in the guise of … election integrity, and elections only have integrity when everyone who’s eligible to vote is able to vote,” Kanter Cohen said. Pérez and her team are monitoring the settlement in California closely, but for now she doesn’t have much cause for concern because of the timing and the intentionality of the lawsuit, she said. The circumstances surrounding Judicial Watch’s suit and the subsequent settlement, despite the watchdog group’s flawed math, make their motives less suspicious to Pérez. The fact that the suit was filed outside of a traditional election season gives election officials time to properly conduct maintenance and people time to check their records. Sophisticated voting rights advocacy groups and a pro-voter secretary of state make Pérez hopeful that election officials will adhere to policy guidelines outlined in the NVRA. Overall, states vary in how aggressively they maintain their voter rolls. 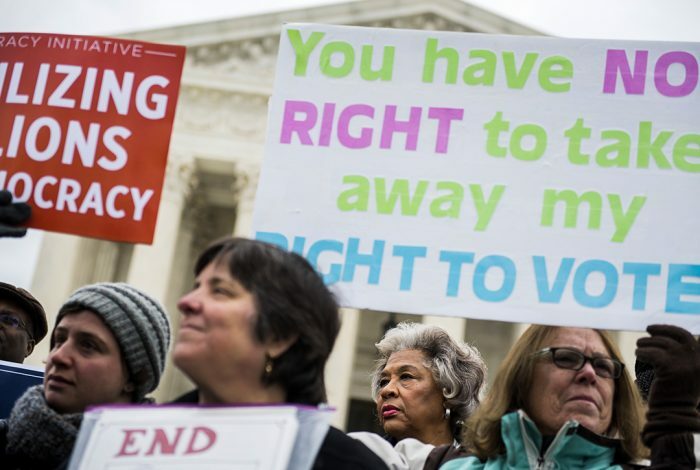 But the NVRA allows states to strike a balance between removing voters to ensure clean, updated rolls and increasing access for eligible voters. Unreturned mailings don’t necessarily indicate a voter has moved. Individuals miss mailings for a variety of reasons, including misinterpreting them as junk mail, or temporarily relocating. And, repeatedly sending notices regarding upcoming elections and polling locations, as well as address confirmations, to deceased voters or those who moved becomes an expensive and futile use of public dollars. Kanter Cohen suggests states implement user-friendly online tools for voters to check their status and take charge of their registration. But, she said, there are barriers to potentially helpful solutions, since voters must know to update their address in order to avoid being removed. Email systems could also work to notify voters that they are at risk of being removed, or have been removed, from voter registration rolls. However, technology-based solutions raise questions of access when voters face language or financial barriers, among others, that prevent them from effectively using digital systems. Besides updating notification protocol, states can seek better methods of checking interstate registration data through systems like the Electronic Registration Information Center, or ERIC, a nonprofit consortium of 26 member states that is similar to Crosscheck, but with more data comparisons to determine a voter’s registration and eligibility. Same-day voter registration could mitigate aggressive voter purges. If a voter arrives at the polls to find their name removed from the rolls, same-day registration allows them to simply re-register to vote. Just 17 states and the District of Columbia have same-day registration policies. According to experts, states could — and should — do more to prevent past and future purges that disenfranchise eligible voters. Related front page panorama photo credit: Adopted by WhoWhatWhy from Travis Estell / Flickr (CC BY-NC-SA 2.0) and California / Wikimedia.